63-FK001B Leg kit pair height from 12 to 16 cm. 63-FK002B Leg kit pair height from 16 to 20 cm. 63-FK003B Leg kit pair height from 20 to 26 cm. 63-FK004B Leg kit pair height from 26 to 31 cm. 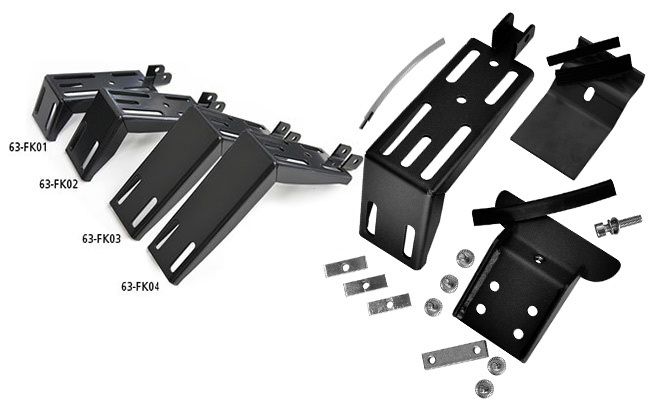 The package contains a pair of leg kits and is provided with all that is needed for permanent attachment of each single leg to the roof rack. - 2x threaded plates and 4 bolts for leg assembly. *The same kits can be provided upon request with STAINLESS steel attachment covers.